BREAKING : Following Rajesh’s Death, Another Chennai Police Officer Abused Cab Driver !! WATCH !! Weeks ago, Rajesh who worked as driver in Chennai city killed himself because of the intolerance of abusive language from Chennai Police officers. Following that now another similar incident took place yesterday says Behindwoods report. At midnight near Velacherry, Ranjith kumar from Vizhuppuram district confronted by a police officer while turning in a curve. Ranjith who slowed down his vehicle, went past to drop his customer where the Police officer named Mahaveer who allegedly been in a drunken state overtook and stopped Ranjith. Mahaveer allegedly abused Ranjith and tried to attack him where another cab driver David Samuel intervened and questioned the police officer. David Samuel says that the Police officer tried to attack him as well. “If I was not there, anything could have happened to Ranjith” says David to the press. As the incident created huge calamity between Police officers and cab drivers, it affected the transport of public people. Cab drivers started protesting in the wee hours of the city. 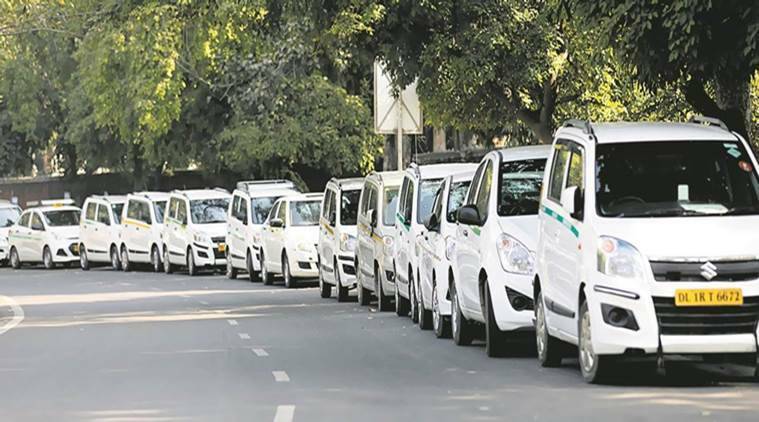 Police compromised the cab drivers by promising them to give appropriate punishment to Mahaveer and asked them to co-operate in clearing the traffic for public people. In the recent video of Rajesh who killed himself said that Police officers are the only reason for his suicide and he also said that he want no more killings because of the mis-behaviour of Police officers. On the day of his death Rajesh picked up a woman passenger around 8 in the morning. This video created massive outrage among the people of Tamilnadu. And the gory pictures of Rajesh’s suicide in railway track broke many people’s heart. Now tell us what do you think on this behaviour of Mahaveer to the young driver Ranjith ?? What punishment do police officer’s who involves in this kind of act deserve ? Previous articleOviya Shared Another Unseen Video From 90ml Trailer !! Oviya Army Goes Crazy !! Next articleChennai Bus Driver Saved 50 People Before Dying !! Heroic Act Receiving Salute From Everywhere ! !